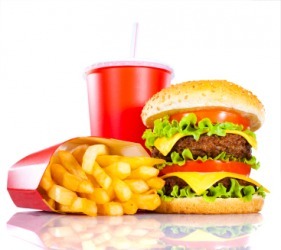 The definition of junk food is food lacking in nutritional value and frequently high in calories, sugar or fat. Ice cream and candy are examples of junk food. "junk food." YourDictionary, n.d. Web. 09 April 2019. <https://www.yourdictionary.com/junk-food>. A high-calorie food that is low in nutritional value. Food with little or no nutritional value.